Adhesive Games has announced the a new beta patch has been released this week for the awesome Hawken game, thats brings with it a number of new features and the new Hawken Predator Mech for players to enjoy which was rumoured earlier this month. The new Hawken Predator mech is equipped with a stalker function that allows players to make the machine invisible while also giving you a limited-range ability to see through walls and structures. 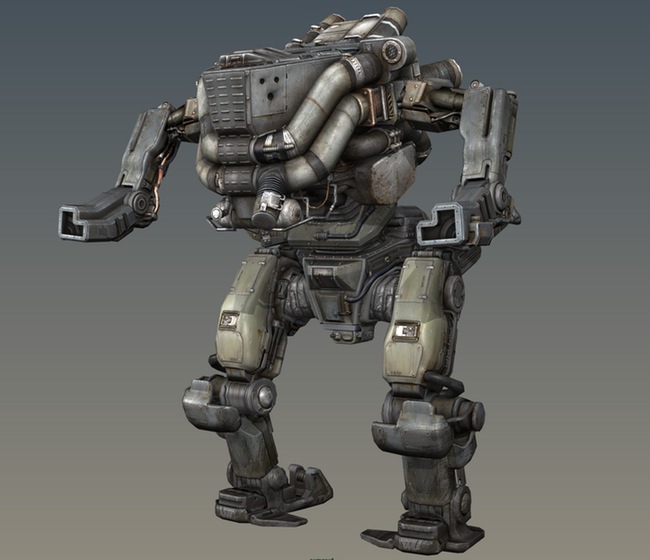 But the Hawken Predator does have its limitations as well and any use of jump jets or heat-generating weapons will knock you out of camouflage for a few seconds. Also if you take damage or deactivate the stalker ability manually, a longer, 20-second cooldown period then kicks in, check it out in the trailer after the jump. As well as the new Hawken Predator Mech, the new Hawken beta patch has also adds a co-op mode to the mix called Bot Destruction. Allowing pilots to work together to survive 25 waves of bot mechs controlled by an AI with the intent to destroy the human colony. Other features included with the new beta patch release include a variety of new weapons and items can be bolted to the Predator chassis, as well as the obligatory performance enhancements and bug fixes.